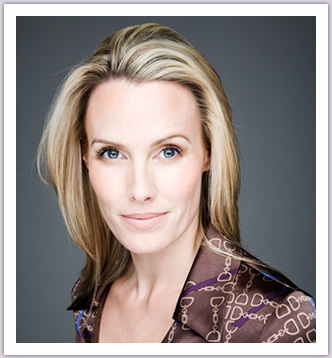 Emma Buckley - TV Host - Radio Host - Nutritionist, Corporate video production and presentations .:. Emma Buckley is a TV host based in New York City. Emma has over 10 years experience as a broadcast journalist having worked for all of the main TV networks in Ireland: RTE, TV3, TG4 and had a weekend radio show on Spin 1038. She started her career in Ireland as co-host of the national morning show, "Ireland AM" on TV3 and then went on to become a news anchor. Since moving to the US in 2006 Emma has primarily been working with the award winning PBS TV parenting show, Real Moms, Real Stories, Real Savvy. Emma has just finished hosting the fifth season for which she interviewed many of the world's top pediatricians and child experts as well as renowned Olympic skater, Nancy Kerrigan and CNN's Heidi Collins. Emma was honored when she won the 2009 "Silver Telly" Award for her segment on Cord Blood Banking. Along with her work on PBS, Emma has appeared on CBS's The Early Show as nutritionist and correspondent and was the anchor for HBO's "The Perspective". Emma is represented by Tony Burton at Don Buchwald & Associates in New York and John Compton at Compton Model Agency in Dublin.